Joseph Mallozzi's Weblog: May 6, 2010: If you’re wearing a hat right now, there’s a 95% chance you look like a dork! Mailbag! 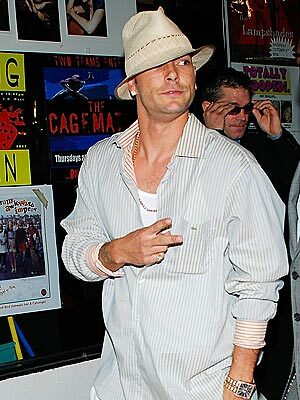 May 6, 2010: If you’re wearing a hat right now, there’s a 95% chance you look like a dork! Mailbag! Or - Good Lord - THIS! 1) Ascot caps, boaters, bowlers, deerstalkers – unless you’re sixty-five or older and/or motor about in a vintage convertible you’ve christened with a female named and make use of words like “toodles” or “corking” as part of daily conversation. 2) Bucket hats – unless you’re six or younger, either physically or mentally. OR, you’re the first mate on the S.S. Minnow. 3) Chullo and various other wool hats – unless you’re Chilean or braving a a blustery winter and desperately need to keep your ears warm. 4) Fedora – unless you honestly believe it’s sixty years ago. Trust me, it doesn’t make you look cool. It just makes you look like someone who thinks they look cool. 5) Pork pie – unless…no. No unless. Just don’t. As for those hats I’ve failed to mention – don’t wear them either. Now, I know that many of you think I’m being inordinately harsh here, but anyone with an ounce of sense would agree. You can take your average good looking fellow, slap a hat on him, and he’ll end up looking like a total dork. Yeah, I think I’ve made my point. Got my script notes on Resurgence today. Some great input. Sadly, I had to lose the Megatron gag. Answer: I lost a bet and will have to make ice cream. Ashleigh requested something simple, like vanilla, so I’ll probably make a batch over the weekend. belouchi writes: “1. Will it be revealed how fast Destiny travels ? Answers: 1. No plans to do so. 2. We haven’t said and will remain vague on this. Answer: They trucked it in, shoveled it over, then touched it up between takes to ensure it look undisturbed. Answer: I don’t know if I’d go so far as to call it worry, but I certainly want to do a good job and thereby make everyone else’s life a whole lot easier. Answer: Is there a pill I can take? Shirt ‘n Tie writes: “Updates on your Mother? How is she? Also any news on *cough cough* DVD commentaries? Answers: Mom is doing much better and has her last physio session this week. What news on the DVD commentaries? And, sadly, Felix didn’t win. He’s presently in search of a new dog-in-funny-outfit contest. Answer: Fans are passionate, SF fans even more so, so it’s not at all surprising to have certain factions raise the hue and cry whenever a change is made or a creative decision taken that they don’t agree with. Fan criticism, infighting, and occasional belligerency have been a part of this franchise as long as I can remember. Answer: Don’t think I didn’t consider the possibility. Answer: Oh, she reads it alright. Answer: It was carved ice so I imagine it’s long-since dissipated. Previous Article May 5, 2010: Cookie-gate! Early script feedback! And a little something from the Atlantis vault! Next Article May 7, 2010: Coast Restaurant! Mini mailbag! Personally I disagree with your stance on hats. Then again, as a Baseball fan, I find any excuse I can to show my support for my teams. 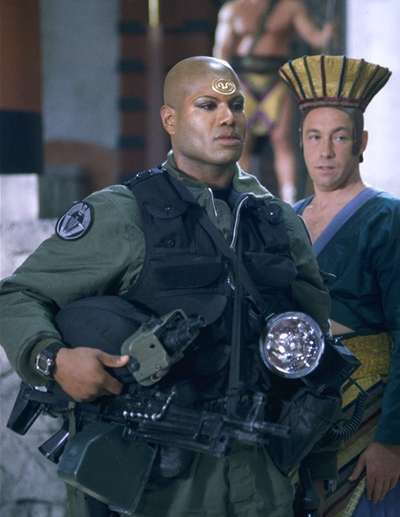 That said, some of the Goa’uld headgear was pretty bad in the early seasons. Now that you mention it… I didn’t start watching till Ben joined the cast, and don’t recall seeing too much of those hats. OMG – I love and heartily agree with the anti-hat brigade! Though I have to say, I think John Payne, George Clooney and Capt. Jack Sparrow look rather fetching in hats and Shanks looked great in his dew-rag, but it probably doesn’t qualify as a hat. Sadly, Carl does not fit the bill – perhaps he should try a cowboy hat, just please, not the chaps. 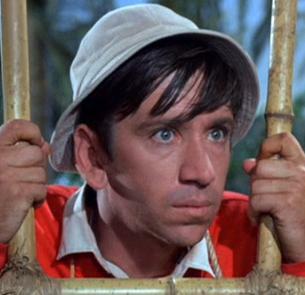 And as for Carl… I don’t know — For some reason when I see him in that hat I think “M*A*S*H”. But in a good way. While I too am generally against the wearing of hats I would have to say that Adam Baldwin’s hats in Firefly/Serenity were particularly good. And he and the fans of the show tend to agree that his orange and yellow hat was particularly cunning. What is not cunning is the military fast food hat. I’m sorry but seriously what’s up with that hat. It’s the US military not a fast food chain. Equally bad, or worse in my opinion is the beret fad that most military organizations are in to that the moment. Totally not cool. I’d want a uniform military hat that looks either traditional or impressive or both. No disrespect to the military folk intended, just a suggestion to those who decide what the uniform is. 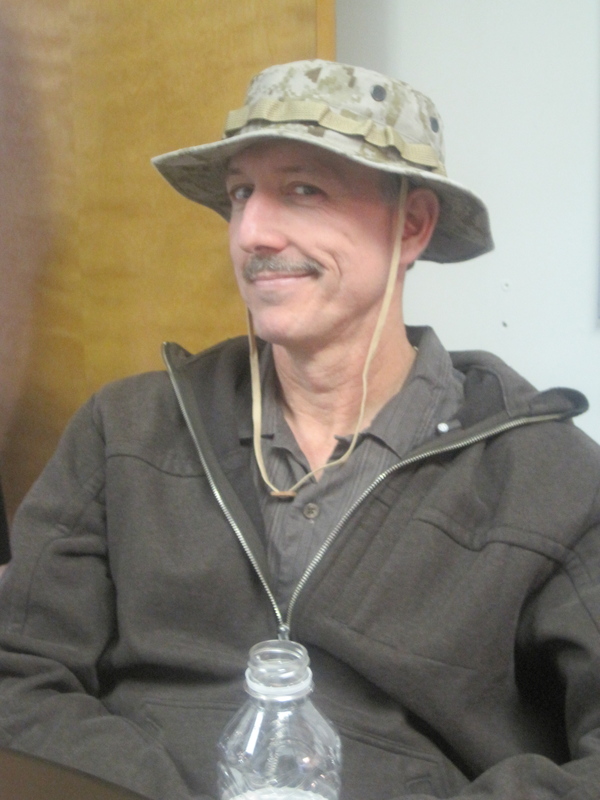 In geoscience, a hat is an essential part of field gear, but without a uniform we all pick our own style. It’s part of the culture to keep the same hat forever, and to pick one that’s durable yet distinct (as the one concession to fashion when knee-deep in mud, and so we have better odds of IDing each other through binoculars). “Dorky” is a massive understatement. No comment on Kentucky Derby hats, fascination, and other elaborate constructions, and no comment on women in hats — do the rules still apply? Caught Patrick Gilmore “Dale Volker” on Fringe tonight, always nice to see Stargate actors in more things. How long would you say it takes you to write a episode from start to finish? Also when you’re writing an synopsis what points in the story do you take into account for the best result? And is there any large differences between writing a book synopsis and a episode synopsis, other then the volume? that Gaould lawyer was totally awesome. i used to be in a school where they forced us to wear the same hat carl is wearing. LOL…the hats worn by Tuplo(sp), and Zipacna were totally contrived. And the Dwight Schultz one was not that much better, but it looked more like a cover rather than a decoration like the other two. Carl did not look too bad, agree with sorry kb that it was kinda “M*A*S*H like – similar to the ones worn by Daniel Jackson – or even Rush had one with his fatigues. Regard the garrison caps (fast food hats) used by the military – these seemed to be preferred because they were easy to “carry” when not on the head. Meaning they folded flat and could be tucked unter the belt. But, they offer no shade for the eyes or protection for the head. Thanks for update on Mamma Mallozzi. Glad to hear! I’ve noticed that the incidence of hat-wearing people increases in the follicle-challenged population. I am with you 95% of the way with hats. Don’t like ’em. HATE to wear them (I swear I have little hands under my hair that push hats off my head – they just won’t stay on). But I also hate baseball caps, and have quite a negative opinion of men who insist on wearing them indoors. You are INDOORS, be a gentleman and take off the stupid hat, ya freakin’ redneck! I don’t care if you’re bald, or have hat hair – it’s just rude as hell to be sitting there with a hat/cap on. There. I said it. I hope you guys out there are paying attention…all three of you. Clint also looked damn good in his spaghetti western hat. And Charlie Chan…loved Charlie Chan in his Panama. But those are, for the most part, exceptions. @ Shirt ‘n Tie – Good to see you back among us! Hope the family’s well! @ Joe – You still speaking to me?? It’s great to hear mom’s doing so good! And as far as your condition goes…I thought – according to you – Ashleigh WAS the pill. @ Ashleigh – Whatever you’re doing, keep it up! You ARE our hero! You’re our person on the inside, and we’re rooting for you all the way! Now – if you can just figure out a way to put a python in Joe’s desk drawer, or itching power in his shorts…something like that might earn you a medal! I may not have a hat on, but I got something even more powerful: a mullet. This post cracks me up. And I agree. Except about those cowboy hats. 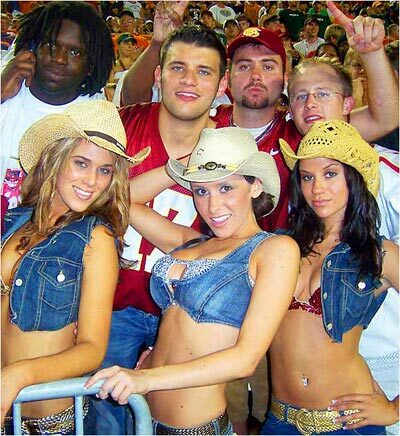 If you’re not a rancher or other form of actual cowboy, you shouldn’t wear a cowboy hat at all. 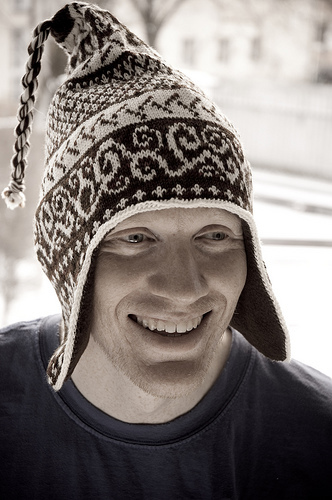 Where do you stand on the classic winter Toque? I personally don’t wear one, don’t like the whole hat head thang, but sometimes it’s warmth over fashion…. Ummm Carl although I did ask where you had disappeared to, I had no idea Joe would make you put on the ‘hat.’ (sorry). P.S. You seem to do a lot of betting. Gamblers Anonymous anyone? …and ice cream isn’t a baked good. Ashleigh – vanilla? really? Oh please ask for another flavour, as well. Something that will make us all drool. 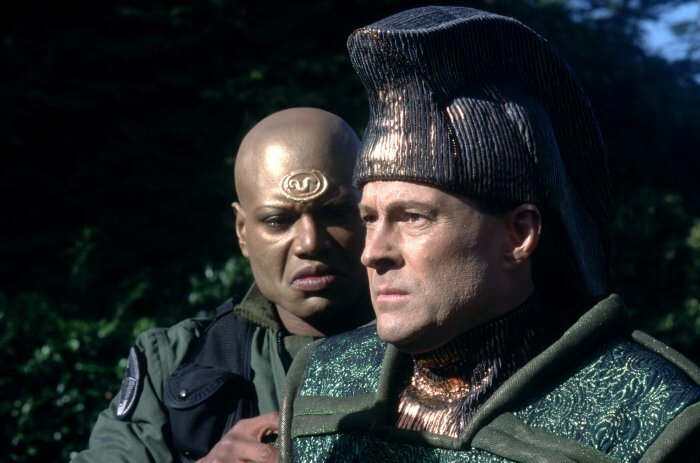 I agree that those Stargate hats were silly. O’Neill’s hat was not silly. Daniel’s was definitely silly. As is Carl’s. My husband has one almost like it. He looks like a dork in it. Of course, he is a dork. Not that Carl is though. Don’t tell him I said that. Oooh, ice cream. I love homemade ice cream. Do you use one of those machines or make it manually (I’m thinking the crank handle kind)? I thought at one point you had made some, but I can’t remember your method. It just tastes better than store bought. LMAO about the hats. Who knew? None of us in the military like those hats either! We would all much more prefer to wear the BDU “baseball cap” style hats, sadly you can’t mix nice blues/greens with BDU caps. Why did they make you cut a joke about Megatron? And given that it’s no longer in the script, can you tell us what it was? Are winter hats allowed when it’s, you know, winter? Can you add trucker hat to the list? Especially if it’s being worn at an angle. Also, red hat ladies should be banned. Not their hats, but the women themselves. They’re so friggin grumpy all the time. Though it could be because of the hideous hats they wear, I suppose. the weird thing about SGU is that it makes other shows unwatchable for me, nothing comes close. Since he snipped his locks, Momoa looks absolutely *HOT* in just about *any* hat he wears!! Especially that Stetson and poorboy cap he wears to the odd convention… And don’t get me started on his Clark Kent-esque eyeglasses — Clark looks like a nerd, Jason is sooo Superman in them! Whatever… don’t mind me… just having a “moment” — blame it on Mom’s freshly baked chocolate/chocolate-chip/oatmeal misshaped cookies!! 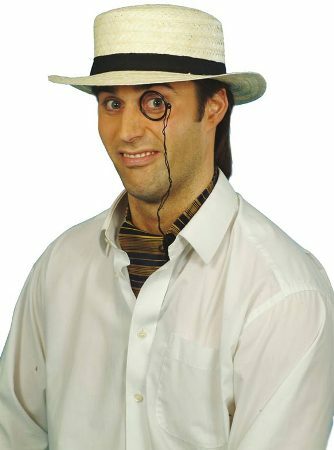 Noting your normal work attire I imagine you yourself would cut a rakish figure in a fedora…..
Oh for a time machine. Just the thought of sending you back 70 years or so, when hats were part of the proper attire of every gentleman makes me giggle. Though I think you’re being to harsh on headware. Traditionally men’s hats have struck me as not all that bad looking, and sometimes quite attractive. As opposed to women’s hats, which all too often seek to find new limits in defining outragious. And I think that Flanigan could have pulled off looking quite good in a fedora, without having the scene stolen by it. Thanks for all pictures, which I conceed did strengthen your arguments(though I saw nothing wrong with Carl’s look). Mailbag is always appreciated. Now, here’s hoping work wont be too hectic, so that I can watch this week’s offering. 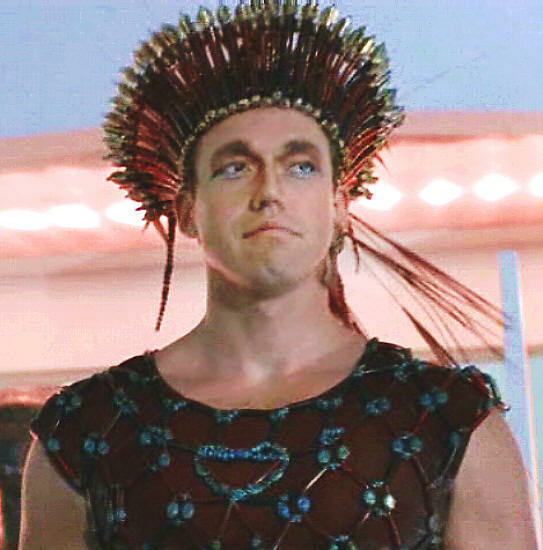 @duneknight: That Goa’uld lawyer, Kevin Durand, went on to play a bad guy on “Lost”, Little John in the new “Robin Hood”, and is booked to appear in two Dreamworks features. I think that head gear may have been his lucky hat. Personally, I don’t really care what people wear on their heads. What bothers me is they don’t take it off when entering a building or sitting down to a meal in a restaurant. That used to be considered rude. To me, it still is. True the “baseball style” BDU hat is better looking. Also true is that it wouldn’t go with the nice service uniforms. Maybe someday someone will think of something better. Saddly all the hats I know are not practical for military usage. TRICORNES!!! Back to tricornes! Just kidding. Anyways… now that I think of it regarding the case of Jayne Cobb of Firefly’s hat (Adam Baldwin) they actually had a moment dedicated to the hat… so literally there was a scene about that hat. I referenced my own comment… that’s not good… is that like talking to yourself.